This 1 bedroom 1 bath gulfside condo features a unique view of 2 duck ponds, both out the front door and off the rear patio. Children will love to feed the ducks and watch the beautiful swans go by. The pool is just on the other side of the duck pond and can also be viewed by the back balcony. The Gulf of Mexico is just about 100 yards away across a newly built walkway. After your day on the beach you can come rinse off in the shower beside the in ground pool. Park your car for a week and relax. There is a trolley stop within 50 feet of our unit that will take you to all the 'hot spots' on the beach. You can visit our boardwalk and enjoy live music as well as great restaurants. There are local rental spots where you can rent equipment for water activities such as parasailing, jet skiing, party barges, and more. For the fisherman at heart there are charter boats that leave beach daily. Young kids will enjoy the sound side with little to no waves and water that is only waist deep. Our home features a queen bed in the master, a brand new pull out sofa in the family room, plus a roll away twin bed to sleep 5 comfortably. We have updated furnishings from the previous owners to bring this condo up date with all amenities. There are 2 TV's, a DVD player, and Wifi availability in the unit. We have just completed a renovation of the kitchen, bath, floors and walls. The condo feels new again! The kitchen comes fully equipped to prepare any meal and we have provided an electric grill for use on the patio. A child's highchair is on site as well as port a crib for the babies. We also live close by and will do our very best to provide you with anything we may have forgotten. Let us know in advance if you have special needs and we will do everything we can to accommodate them prior to your arrival. Please note that full or partial refunds will be given if a mandatory beach evacuation occurs due to a hurricane. Ask about a monthly winter rate, or extended lease rate. We will include all taxes in the quoted price, as this may make a large difference when comparing us to other units. Please note that there is NO Smoking in our condo! Thank you! With Chad born and raised in Pensacola and I was transferred here with my family in 1984, so Pensacola is definitely our home. We feel so lucky to have such an amazing beach close by and were thrilled to be able to purchase a 'getaway' for our family. Newly updated bathroom includes tile floors, tile walls, new toilet and sink. The Gulf of Mexico is just about 100 yards away. Condo sits directly on the lake. 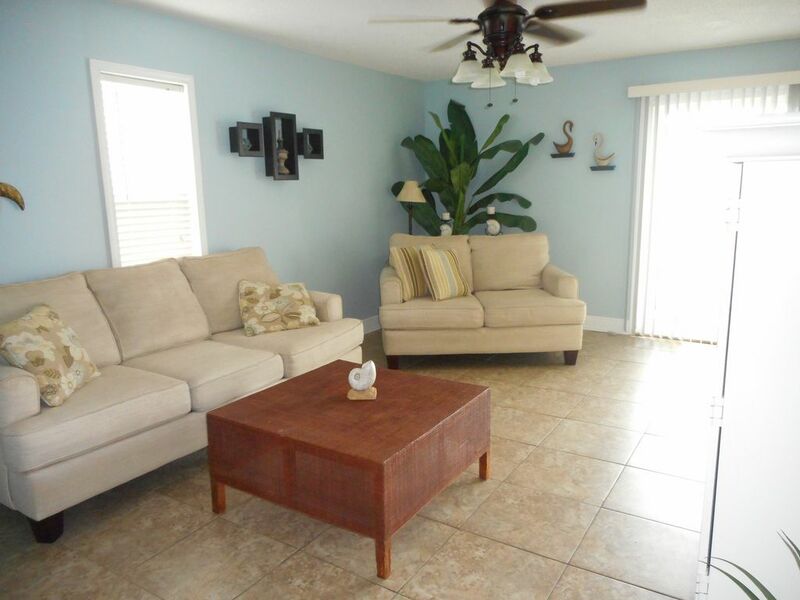 We are on the Gulf side with just a short walk to the beach with no need to cross any streets. We will provide you with all bed linens and towels. You may bring additional large beach towels if needed. Unit features a view of the duck pond and is just a short walk on the new walkway to the Gulf of Mexico. We are located on the Gulf side of the beach though a few other units sit between us and the beach. You will not have to cross the road to access beachfront, as it is only a short walk through the complex. Washer and Dryer are coin operated on site, not in unit. Great place and worked well for our family of 4. Staying in the Frank's unit was an awesome time. Everything we needed for a great stay was provided for us in our condo. Easy walk to an incredible beach which we enjoyed a lot. We will definitely stay here next time we are in town. Thanks, Jaime. Wonderful stay. We loved it!! The condo was very cute and cozy. There wasn’t a washer and dryer in the condo but there was one on site. Everything is provided. Place looks just like pictures. Beach is a very short walk, pool was good and ducks are adorable. Great Place to Stay with Family! This place is perfect for a family of 5. We all enjoyed staying there for 4 days. With the exception of the rolling bed which you could feel the springs and not neccessarily comfortable for the person sleeping in it, everything else was perfect. The place is clean, cozy and close to the beach. We would definitely stay there again.